Republican leaders moved forcefully on Tuesday to control the damage from a pair of scandals that have suddenly disrupted the party as it prepares to take full control on Capitol Hill. In back-to-back moves, House Speaker John A. Boehner (R-Ohio) pushed out Rep. Michael G. Grimm (R-N.Y.), who pleaded guilty last week to federal tax-evasion charges, and backed Majority Whip Steve Scalise (R-La. ), who acknowledged that he once ­addressed a white-supremacist group before coming to Congress. Some Republicans praised Boehner for his actions, expressing their eagerness to start the new Congress in a position of strength to fully exploit their gains in the midterm elections. But others worried about the potential political fallout from a fresh racial controversy for a party eager to show its broadening appeal to minorities ahead of the 2016 presidential election. Bipartisanship was possible on contemporary issues because the party divisions reflected the distant past. The Democratic Party, which 85 years earlier had been skeptical about waging the Civil War, carried Southern seats 117-11. The Republican Party, which had backed the war, carried Northern seats 235-72. The divisions in the 114th House, in contrast, reflect contemporary divisions. The House Republican Conference is tilted toward the South, but not as heavily as Democrats were in 1947. Of its 247 members, 114 are from Southern states, and its largest state delegations are from Texas (25) and Florida (217). Republicans' margin in Southern seats is 114-38. Most Southern Democrats are from black- or Hispanic-majority districts or those with a Northern cultural flavor (South Florida, Northern Virginia, Austin). But Democrats lead in Northern seats by only 150-133. Northern Republicans come mainly from suburbs and exurbs, not small towns as in 1947. They tend to represent growing areas rather than those that are losing steam. The House Democratic Caucus is heavily coastal. The largest state delegation by far is from California, with 39 seats -- one-fifth of the total. This helps to account for Nancy Pelosi's strength in her caucus, though she lost a key committee fight last month. Almost half of the Democratic gain in seats from 1946 to 2014 came in the three West Coast states, with most of the rest along the Atlantic seaboard from Maine to Maryland. As was apparent on the Cromnibus vote, when 67 Republicans bucked their leadership and 57 Democrats differed from Pelosi, neither conference nor caucus is monolithic. But these differences are more about tactics than goals. The House Democratic Caucus almost unanimously supports big government policies and cultural liberalism. The more diverse (on ideas and increasingly in race, ethnicity and gender) House Republican Conference favors reining in big government but lacks clear consensus on how to do it. House Majority Whip Steve Scalise (R-La.) spoke at a white supremacist group’s event in 2002 while he served as a state representative, an unwelcome bit of news for Republicans preparing for the new Congress. Scalise acknowledged speaking to the group created by former Ku Klux Klan leader David Duke, but said it was “insulting and ludicrous” to think he shared the group's views. “I didn't know who all of these groups were and I detest any kind of hate group," he said in an interview with Nola.com on Monday. "For anyone to suggest that I was involved with a group like that is insulting and ludicrous,” he said. The Louisiana political blog CenLamar initially published posts from Stormfront.com, a white supremacist message board, which mentioned Scalise speaking at an event for the European-American Unity and Rights Organization. Scalise did not deny that he spoke to the group, but said he spoke to a number of groups about his opposition to governemnt spending when he served as a state representative. His spokesman’s explanation is less than satisfying. (“In a statement, Scalise’s spokesperson Moira Bagley emphasized that the then-state lawmaker was unaware at the time of the group’s ideology and its association with racists and neo-Nazi activists.”) Really, nothing about the name of the organization tipped him off? “Throughout his career in public service, Mr. Scalise has spoken to hundreds of different groups with a broad range of viewpoints,” Bagley said. “In every case, he was building support for his policies, not the other way around. In 2002, he made himself available to anyone who wanted to hear his proposal to eliminate slush funds that wasted millions of taxpayer dollars as well as his opposition to a proposed tax increase on middle-class families.” That is equally unconvincing. Would he have spoken to a KKK rally? To the American Nazi Party? His appearance before that group was inexcusable, but his rather uncompelling reaction is more concerning. He holds a position of leadership and should be a model of good judgment and conduct. (Are there other appearances before other hate groups?) This is no way to start off the new Congress. Darren Samuelsohn writes at Politico that data mining enables campaign to target voters and potential donors by putting public records (e.g., campaign finance reports, voter registration rolls), with information from Facebook and consumer reports. The Federal Trade Commission can go further. After an investigation of commercial data brokers, including how politicians use personal information, the FTC concluded in a report earlier this year that there’s a “fundamental lack of transparency” across the industry. But the department’s call for legislation to better protect consumers hasn’t resulted in any major action on Capitol Hill. It seems that every potential 2016 presidential candidate has at least one electability problem. Some have more than one. Hillary Clinton is tied to the Obama administration's foreign policy and the Clinton administration's scandals. Born October 26, 1947, she would be 69 years old on Election Day, which would make her the second-oldest president after Ronald Reagan. Elizabeth Warren, born June 22, 1949, is almost as old as Clinton. She has won only one election, in liberal Massachusetts, and her progressive politics probably would not travel well in a general election. (Think Dukakis and Kerry.) The false claims of Cherokee heritage won't help, either. Jeb Bush is named Bush. He also supports Common Core. Paul Ryan proved in 2012 that he is very bright but uninspiring on the campaign trail. Vice presidential candidates seldom help their tickets, and he was no exception: the Republicans lost his home state of Wisconsin. And as chair of the House Ways and Means Committee, he has a real job that would severely limit his campaign time. Mike Huckabee is well-liked. He also tends to make the kind of gaffes that would sink candidates who reach the top tier. Chris Christie flunked his 2012 vice presidential vetting. Bridgegate might not bring him down, but the other stuff could. Also, his temper -- like Warren's liberalism -- will not appeal outside the Northeast. 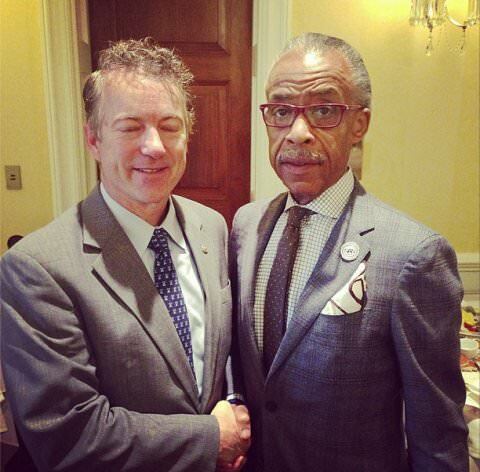 Rand Paul has shown terrible judgment in associating both with neo-Confederates and Al Sharpton. Marco Rubio has alienated much of the GOP base over the issue of immigration. And if Bush gets in, much of his anticipated Florida money will disappear. Scott Walker won reelection in 2014 despite a campaign finance scandal. In a presidential race, however, the relevant documents will be subject to scrutiny by a large cadre of more-skillful and better-equipped opposition researchers. The email trove will be like a natural gas well that reopens when a new technology becomes available. Call it political fracking. Ted Cruz has alienated colleagues in the party with counterproductive legislative tactics. Many Republican officials hate him, and they will undercut him in ways both obvious and subtle. Bobby Jindal is still best-known for his disastrous State of the Union response. He is unpopular back home in Louisiana. Rick Perry is still best-known for "Oops." Perhaps it will lower expectations for him. But another problem is that he will no longer be governor of Texas, and will not be able to gather "access money." Dr. Ben Carson is a world-class surgeon but has never held office or run a large organization. Every president has had one of those two experiences. His oratory may give him an early boost, but at some point, his lack of qualifications will kick in. Carly Fiorina, like Dr. Carson, has never won an election, but she has run an organization (HP). That's her problem: HP sacked her for poor performance, and her stewardship opens her up to the kind of "callous clueless rich person" attack that hurt Romney. And at least Romney could make a plausible case that he was successful at Bain. So maybe it isn’t totally crazy that Fiorina is running for president even if she’s never won an election. But it is totally crazy that Fiorina is running for the White House when, according to federal election reports, her 2010 campaign still owes $486,418 to creditors. Who wants a deadbeat for president? GOP consultant Jason Roe tells National Journal: "I don't think Carly's running for president. I think Carly's running for vice president. If Hillary Clinton's the nominee, Republicans need a woman front and center—probably on the ticket. And Carly knows that." If that is Fiorina's real plan, it does not make sense, either. The 2016 nominee could choose from a number of Republican women who have actually won elections (e.g., Susana Martinez, Kelly Ayotte). And her tenure at HP carries all the political liabilities of Romney's record at Bain -- but without any of the success. At The San Francisco Chronicle, John Wildermuth reports that California's out-of-office politicians want to hold onto campaign money. But state election law requires candidates to close their campaign accounts and disburse the money within two years after losing an election or being termed out of office. Unless they’re planning to run for another office. With another campaign on the horizon, however hazy it might be, the cash stays with the candidate — and this rule has forced some veteran officeholders into some unusual political contortions. With the next statewide election four years away, it’s time for ghost campaigns, with prospective candidates saying all the right things about races they may never enter. Political contributions, including money for ballot measures, are one of the state-approved ways to spend campaign cash, along with donations to “bona fide charitable, educational, civic, religious or similar tax-exempt, nonprofit organizations,” according to state law. The money also can be returned to donors, which doesn’t happen often. "They are a couple steps ahead in technology, but light years ahead in culture," said Wesley Donehue, the president of Push Digital, a Republican communications firm. "Democrats put a larger emphasis on digital and data and technology, they put more money into it, they are better at sharing it. Republicans are much more guarded in sharing their resources." The culture gap on vivid display this month at RootsCamp, a two-day "un-conference" — their phrase — of more than 2,500 progressive activists and campaign pros who gather yearly in Washington to drink, talk shop and swap lessons from the election season that was. There is nothing like it on the right. One fearful Republican blogger called it "The Left's New Death Star." The gathering — run by the New Organizing Institute, a progressive outfit that trains activists and operatives in the fields of data, digital and organizing — has blossomed since its heady inception in 2006. Back then, when "netroots" activists were demanding a seat at the Democratic Party table after John Kerry's presidential loss, the event was an amateurish meet-up of some 200 web-obsessed Democrats who convened in coffee shops and college classrooms in Washington, Brooklyn, and Denver to plot strategy. Today, RootsCamp feels like a Vegas tech expo for Democrats. How can the GOP offset the growth of the Hispanic vote? At The National Interest, Henry Olsen points to working-class whites in industrial states. In a variation of "new ideas" Republicanism, he suggests that the GOP drop its reflexive opposition to all entitlement programs. Data compiled by political scientist Larry Bartels show that the president’s support among non-college-educated whites came largely from the working and lower-middle classes, exactly the people most affected by the Great Recession and the wage pressures of the preceding decade. Bartels’s analysis shows that non-Southern whites making less than about $45,000 a year voted for the president in 2012, and those making between $45,000 and $62,500 gave him more than 45 percent of their votes. Conservative analysts may decry the dependency safety-net programs engender, but clearly those voters who have struggled for decades were not so concerned. These facts have not gone unnoticed by these states’ Republican governors. Every GOP governor in these states except Wisconsin’s Scott Walker has either expanded Medicaid or endorsed expansion, and even Walker reformed his state’s generous Medicaid program to expand insurance coverage by nearly one hundred thousand people without taking new federal money. Ohio governor John Kasich [see this comparison to Kemp] was so intent on expanding Medicaid prior to his 2014 reelection vote that he used his appointees to an obscure state board to get around opposition from Republicans in his state legislature to expand the program. The nation’s two Hispanic Republican governors, Nevada’s Brian Sandoval and New Mexico’s Susana Martinez, also took leading roles in establishing their state’s exchanges pursuant to Obamacare. Republican governors in Michigan and Pennsylvania, two other potential swing states that lean slightly Democratic, also endorsed Medicaid expansion. INDIANA REPUBLICAN governor Mike Pence’s 2014 announcement that he, too, would seek to expand Medicaid further shows how strong the political pressure is. Pence is so conservative that as a congressman he was one of just twenty-one GOP stalwarts not to vote for President Bush’s bill creating prescription-drug coverage for seniors. Yet Indiana is another state politically dominated by whites without college degrees. This group comprised 56 percent of the 2008 electorate, the highest percentage of any midwestern state. While this group also has a significantly larger evangelical Christian portion than elsewhere in the Midwest, Pence has surely recognized that the same economic pressures that make Medicaid expansion tempting for low-income whites elsewhere apply to Hoosiers as well. Pence’s proposal is slightly different, and as such offers a lens through which one can view the options conservatives have in crafting an original response to these pressures. The largely hostile reception his idea has met among conservative intellectuals, however, shows that the “just say no” impetus remains strong on the right. “Org gives me an icky feeling” — IRS employees scheme to deny applicant for tax exempt status they find distasteful (p. 95):Employee 1: “It appears that the org is funneling money to other orgs for political purposes. However, I’m not sure we can deny them because, technically, I don’t know that I can deny them simply for donating to another 501(c)(4). . . . Any thoughts or feedback would be greatly appreciated.”Employee 2: “I think there may be a number of ways to deny them. Let me talk to Sharon [Light] tomorrow about it and get some ideas from her as well. . . . This sounds like a bad org. :/ . . . This org gives me an icky feeling.”IRS employee on why he thought Tea Party organizations were different from other applicants (p.161):“These [Tea Party] organizations mostly concentrate on their activities on the limiting government, limiting government role, or reducing government size, or paying less tax. I think it[‘]s different from the other social welfare organizations which are (c)(4).”IRS employee flags bias of colleague (p. 161):Quoting an e-mail from a top deputy to Lois Lerner: “This line in particular stood out: ‘We suspect we will have to approve the majority of c4 applications.’ That’s an interesting posture.” Emphasis of “have to” is employee’s own. Rep. Charles Rangel (D-N.Y.) said Tuesday that political mudslinging had “no place” after the murder of two New York police officers. “Pointing fingers has no place at all with civilized people,” he said. Rangel, who resigned in disgrace from the chairmanship of the House Ways and Means Committee because of ethics violations, has been talking this way for a long time. He said of the 1994 Contract with America: "Hitler wasn't even talking about doing these things." For as often as Democrats attack the conservative billionaires Charles and David Koch for their heavy spending on politics, it's actually the liberal-minded who shelled out the most cash in the just completed midterm elections. Among the top 100 individual donors to political groups, more than half gave primarily to Democrats or their allies. Among groups that funneled more than $100,000 to allies, the top of the list tilted overwhelmingly toward Democrats - a group favoring the GOP doesn't appear on the list until No. 14. The two biggest super PACs of 2014? Senate Majority PAC and House Majority PAC - both backing Democrats. In all, the top 10 individual donors to outside groups injected almost $128 million into this year's elections. Democratic-leaning groups collected $91 million of it. Among the 183 groups that wrote checks of $100,000 or more to another group, Democrats had a 3-to-1 cash advantage. The biggest player was the National Education Association, at $22 million. Not a single Republican-leaning group cracked the top 10 list of those transferring money to others. Overall, for the campaign season that just ended, donors who gave more than $1 million sent roughly 60 cents of every dollar to liberal groups. Among the 10 biggest donors, Democrats outspent Republicans by an almost 3-to-1 margin. Paul’s flirtation with Sharpton is not just a matter of ignoring the past. Paul’s minuet is also a matter of disregarding what Republican voters are thinking in the here and now, the here and now being December 2014. The latest NBC/Marist and Pew Polls show the Republican rank and file squarely behind the police, and rightly or wrongly embracing the proposition that police treat blacks and whites alike. Against this backdrop, Paul breaking bread with Sharpton may be too much for Republican primary voters to watch or stomach. Unlike Barack Obama or MSNBC, the GOP hasn’t forgotten that it was Sharpton who proclaimed that Tawana had told the truth, or that Sharpton owes more than $4 million in back taxes. Since his first year in office, in 2010, Christie has engaged in at least 14 raised-voice confrontations with regular people, often at town halls. These moments, played and replayed on YouTube, have become a defining characteristic of the governor — as proof that he’s either a tough, no-nonsense leader or a swaggering bully. Now, as Christie considers whether to run for president, he is increasingly facing questions about whether his hard-nosed act will play among voters who may not be quite so hard-nosed as those in New Jersey. Christie will also have to contend with those, like [Sandy] Booket, who just want to goad him into a candidacy-killing moment. And just after he announced this week he’s “actively exploring” a president bid, some Iowa activists are already torching Bush’s credentials. “He's on the wrong side of every issue that matters most to conservatives right now,” said Steve Deace, an influential Des Moines-based conservative radio host. Deace ripped Bush for his support for immigration reform and Common Core education standards as apostates to the conservative cause before saying he’d “bet my mortgage” against Bush performing well in Iowa. Many in the state are skeptical whether Bush is ready for a crowded Republican field of candidates — including others competing for the “establishment” mantle, like New Jersey Gov. Chris Christie, Florida Sen. Marco Rubio, Louisiana Gov. Bobby Jindal, Texas Gov. Rick Perry, Wisconsin Gov. Scott Walker and others who may be able to appeal to center-right voters. At The San Jose Mercury News, Josh Richman writes that Carly Fiorina is considering a presidential run, despite losing her only campaign, the 2010 California Senate race. Her business record is a matter of contention, too. As she reshaped HP to cope with the dot-com bubble's collapse, the company's stock value declined considerably and the board forced her resignation in 2005. "She actually had a pretty decent vision" of reinventing HP with a richer set of consumer electronics supported by the company's own services, said tech analyst Rob Enderle. "The problem was, she didn't understand the underlying components, so executing that vision became problematic." HP's board also didn't appreciate how much time Fiorina spent focused on President George W. Bush's 2004 re-election campaign instead of on the struggling tech giant, Enderle said. "Her history and job experience are going to kill her, but in terms of performance in front of an audience, she's in (Sarah) Palin's class and probably has a lot more depth. She's very fast on her feet." "From an entertainment standpoint, I hope she runs," he said. "I don't think she stands a chance of winning, though." Democratic opposition researchers scurrying to unearth the sins of potential Republican presidential candidates can rest easy: GOP operatives, especially on Mitt Romney’s team, have already done a lot of the work. “There’s an awful lot of oppo sitting in Mitt Romney’s inbox,” says Rick Wilson, a Florida Republican with ties to Senator Marco Rubio and former governor Jeb Bush. And that opposition research came from the candidates themselves as they divulged a great deal of personal information to Romney and his top campaign aides during the vice-presidential vetting process in 2012. Those candidates, many of them too new to federal office to run for president at the time, now stand as some of the most formidable competitors for the Republican nomination in 2016. If Romney decides to run, he’ll have an exhaustive understanding of his potential rivals’ weaknesses. If he decides not to run — Jeb Bush’s avowed interest diminishes the likelihood that Romney will try again — rival consultants think his aides might take that information to other campaigns. Some Republican consultants simply don’t believe the Romney team’s claims that the files have been destroyed. “Yeah, bulls***, they’re sitting somewhere,” says one GOP operative, who notes that Romney’s vetters produced “very detailed” reports on the weaknesses of the governor’s potential running mates. For nothing is lost, nothing is ever lost. There is always the clue, the canceled check, the smear of lipstick, the footprint in the canna bed, the condom on the dark path, the twitch in the old wound, the baby shoes dipped in bronze, the taint in the blood stream. And all times are one time, and all those dead in the past never lived before our definition gives them life, and out of the shadow their eyes implore us. And that is what all of us historical researchers believe. Kentucky Senator Rand Paul took his time responding to this week's Cuba policy thaw. Florida Senator Marco Rubio, the son of immigrants who fled the pre-Castro regime, called a press conference that began just a few minutes after President Obama's statement ended. Paul did not respond on the day, and media requests for a reaction were rebuffed. Not until Thursday morning, when Paul appeared on West Virginia's NewsTalk 800,did he reveal his realist, libertarian response. "The 50-year embargo just hasn't worked," Paul said. "If the goal is regime change, it sure doesn't seem to be working, and probably it punishes the people more than the regime because the regime can blame the embargo for hardship." Paul could have left it at that–his position was consistent with his father's, with Arizona Senator Jeff Flake, and with most libertarians who considered the Cuba policy a spectacular failure. But a few hours later, Rubio appeared on Megan Kelly's Fox News show and was asked for his "thoughts on Senator Rand Paul's comments supporting the president." "Like many people, he has no idea what he's talking about," snapped Rubio. "I would expect that people would understand that if they just took a moment to analyze that, they would realize that the embargo is not what's hurting the Cuban people. It's the lack of freedom and the lack of competent leaders." Critics of the president’s move say they expect older Cuban-Americans with vivid memories of the Castro regime’s oppression to become more politically engaged – and to turn against Democrats in 2016. Republican operatives who worked for Republican Gov. Rick Scott this year believe that challenger Charlie Crist’s expressed support for easing relations with Cuba cost him votes. The Scott campaign’s internal polling shows that the governor racked up big margins among Cuban-American voters but also made inroads with Venezuelan expatriates who blame the Castro brothers for recent turmoil in their home country. The core of the Republican argument is that older voters who oppose loosening the embargo care the most about the issue and will vote on it. They believe that few people who want to relax tensions are motivated to vote. “The people who are most passionate about this issue do not have short memories,” said Republican consultant Adam Goodman, CEO of the Tampa-based Victory Group. Republicans clinched their 247th U.S. House seat on Wednesday when GOP challenger Martha McSally officially unseated Rep. Ron Barber (D-Ariz.), bringing to an end the final unresolved congressional election of the midterms and handing the GOP its largest majority in the chamber since the Great Depression. McSally's narrow win, which came after a recount, means that House Republicans will begin the 114th Congress with a 247-188 advantage over Democrats. It is the largest GOP majority since Republicans claimed 270 seats in the 1928 election. The number of Americans identifying themselves as Democrats has dropped to a record low in nearly 34 years of ABC News/Washington Post polls, marking the party’s challenges after its poor showing in the 2014 midterm elections. The Republican Party, by contrast, has gained sharply in popularity, if not allegiance. Just 26 percent of Americans now identify themselves as Democrats, down from 32 percent six weeks ago to the fewest since ABC/Post polling began in 1981. The GOP has not benefitted in terms of direct allegiance: Twenty-three percent of Americans describe themselves as Republicans, essentially unchanged from recent levels. Instead 41 percent say they’re independents, extending a six-year run as the dominant choice. But the GOP has gained in other gauges. Forty-seven percent see it favorably overall, up by a remarkable 14 percentage points since mid-October to its best among the general public since March 2006. Forty-four percent rate the Democrats favorably – also up since the heat of the midterm elections has eased, but just by 5 points. The Republican Party’s numerical advantage in this basic measure of popularity is its first since 2002. The Republicans in Congress, moreover, lead Barack Obama by 47-38 percent in trust to handle the economy, a clear GOP advantage on this central issue for the first time in his presidency. Prolonged debate on the spending bill, which passed on a 56-to-40 bipartisan vote, came after Cruz and Lee late Friday night derailed a carefully crafted plan between party leaders to allow senators to go home for the weekend and return Monday to approve the spending agreement. The pair had sought to force a vote that essentially would block federal agencies from implementing the immigration policy changes ordered by Obama last month. Reid blocked the Cruz-Reid request for a vote on blocking Obama’s executive amnesty and angrily clashed with them on the Senate floor, ensuring that debate on the spending bill would spill into Saturday. Then, come Saturday, Reid used the session to begin consideration of around 20 of Obama’s nominees, almost half of whom Republicans had been blocking. Consequently, votes on the nominees will take place on Monday morning. Ted Cruz’s heart is in the right place, but once again, his judgment must be questioned. Every army has disagreements among its leaders, but they must agree on tactics to effect their strategy. Every football team must agree on the next play if it is to work. In the Senate, caucus leaders are chosen precisely to make such decisions. The weekend's events demonstrate that some Republicans are not playing on the same team. This was not a simple, common occurrence of senatorial independence, but rather open defiance of caucus strategy — a decision by junior officers that their own tactical decisions take precedence over those of generals who were chosen for the job. When this happens, games and battles are lost. Before Republicans take the majority in the Senate next month, they should make up their minds about who is in charge. Otherwise, they face the prospect of losing again and again. Cruz remains the odd man out in the Senate, justifiably hated by his peers. Among those openly disparaging Cruz and his antics were Republican Sens. Kelly Ayotte (N.H.), Orrin Hatch (Utah), Johnny Isakson (Ga.), Lindsey Graham (S.C.), Susan Collins (Maine), Bob Corker (Tenn.) and John Cornyn (Tex.). Cruz likes to say he is “leading”; he seems not to know the difference between leading and preening. A fatuous tweet from a Cruz flack (“GOP [senators] should quit complaining about Cruz and Lee and start working with us to stop amnesty”) was par for the course: dishonest (they all will fight the executive action in the new Senate), self-serving and insulting. In the new Senate, Cruz can expect less and less indulgence from fellow Republicans. That only 22 senators joined him in his constitutional point of order suggests he is neither feared nor respected. In reminding everyone — in case they forgot the 2013 shutdown — Cruz cannot even get along with members of his own party, he reminds responsible Republicans how ludicrous it would be to put him in the White House. The man who has come to define the dysfunction and nastiness voters loathe about Beltway politicians is going to have quite a tough time convincing voters he is the answer to the strife and incompetence of the Obama years. And in the case of Romney, it’s unclear if he has really internalized that lesson. After Romney lost in 2012, he still hadn’t figured it out. In a post-election interview with The Washington Post’s Dan Balz, Romney could only acknowledge of his infamous 47 percent remark that “well, clearly that was a very damaging quote and hurt my campaign effort.” He also continued to channel his inner Mitt, telling Balz that Americans remained most concerned about borrowing and spending—when in fact jobs were and are the top priority for an overwhelming majority of Americans. Memo to all Republican contenders: The GOP is now the home of white working- and middle-class voters. It’s no longer about Thurston Howell III. As for Christie, much as he tries, he can’t shake free of Bridgegate. The word out of New Jersey is that federal prosecutors may criminally charge Christie’s aides under a provision of the U.S. Code that makes it illegal to intentionally misapply federal funds and property. Here, prosecutors may argue that since the George Washington Bridge is the beneficiary of federal funds, and the bridge was shutdown purely for the sake of political revenge, then Christie’s aides broke the law. To add to his woes, New Jerseyans are telling pollsters that their guy just isn’t ready for prime time. Christie is also the same fellow who spent his 2013 election night with Steven A. Cohen, whose hedge fund shortly thereafter pleaded guilty to insider trading. So where to go from here? For openers, the Republicans should start taking about how falling oil prices are giving working Americans the tax break the Obama administration begrudges them. Next, the GOP should hammer away at how our roads, bridges, and tunnels are crumbling, and push for an infrastructure initiative. If building America’s highways was good enough for President Eisenhower, and is also expressly endorsed by the Constitution, how can the Republicans go wrong by rebuilding America? The secret negotiations that led to one of the most significant expansions of campaign contributions in recent years began with what Republican leaders regarded as an urgent problem: How would they pay for their presidential nominating convention in Cleveland in two years? The talks ended with a bipartisan agreement between Senate Democrats, led by the majority leader, Harry Reid of Nevada, and House Republicans, led by Speaker John A. Boehner of Ohio, that would allow wealthy donors to begin giving more than $1 million every election cycle to each party’s national committees. The agreement drew intense criticism from both liberal Democrats and Tea Party-aligned Republicans when details of the new limits began circulating last week. It is now headed for likely passage as a rider in a $1.1 trillion spending bill loaded with provisions sought by banks, food industry lobbyists and other special interests. It continued to draw fierce attacks as lawmakers prepared to vote on a final spending bill, even as Democratic leaders privately defended the addition as a necessary compromise to forestall more aggressive efforts by Republicans next year to whittle away at other campaign funding restrictions. It was Mr. Boehner’s team that first approached Mr. Reid’s negotiators with a proposal, according to Republicans and Democrats with knowledge of the discussions. After successfully pushing legislation in March to abolish public financing for party conventions, some Republicans had become worried about how they would pay for their 2016 convention, scheduled to be held in Cleveland, in Mr. Boehner’s home state, Ohio. Some feared that the party would have to scale back the convention, losing clout and prestige to the big-money outside groups that are playing bigger roles in campaigns. As things stand now, an individual donor may give $32,400 to a national party committee each year, and there are three on each side (besides the DNC and RNC, there are the Democratic Congressional Campaign Committee, the Democratic Senatorial Campaign Committee, the National Republican Congressional Committeeand the National Republican Senatorial Committee). Under the language slipped into the omnibus spending bill Tuesday night as a rider, all three party committees on each side would be allowed to create two more offshoots — one to pay for legal costs and recounts, and another to pay for the nebulously-described “building expenses.” The main national committee of each party would also be able to create a fund to help pay for the presidential nominating convention. There would be a total of seven committees, instead of three, on each side, and each of the four newly created committees would be able to accept donations of up to $97,400. That’s on top of the $97,400 that can already be donated to the three original committees. The grand total for a donor who wanted to give the maximum to each of the three original committees and all of the four new committees would be $776,000 per year, or $1.5 million per two-year election cycle; for a couple, the total comes to a cool $3 million. The public appears to have made up its mind about President Obama. His job-approval rating in early 2014 averaged 41.5 percentin Gallup surveys. In late 2014 — despite an improving economy — it averaged the same 41.5 percent. Over the past year, his rating has never gone higher than 44 percent and never lower than 41 percent. And history suggests Obama’s popularity will continue to flounder even if the economy continues to improve. The past seven presidents who have served a second term have had difficulty changing public opinion. We can see this by comparing their average approval rating at this point in their terms to their final approval rating before the next presidential election. The average absolute change in job approval for these presidents was just 3.8 percentage points. More to the point, none of the larger changes were positive. Presidents George W. Bush and Bill Clinton saw their approval ratings decline by 11.5 and 8 percentage points, respectively. Bush was hit by the worst economic crisis since the Great Depression. Clinton, whose approval ratings had skyrocketed during the Monica Lewinsky scandal, was regressing to the mean. The California Secretary of State reports that turnout in the gubernatorial election was 42.20% of registered voters, 30.94% of eligible voters -- a record low. The final tally from elections officials is that 7,317,581 votes were cast in the two-man race between Brown and GOP challenger Neel Kashkari. Brown won 60 percent of those votes, the most lopsided gubernatorial contest since 1986. It was also, it seems, the least inspiring in more than a generation. State elections data show last month’s gubernatorial election saw fewer votes cast than in the previous eight quadrennial contests. Only 1978’s race between Brown and Republican Evelle Younger saw fewer total votes cast (6,922,378) than did 2014. For the 1980 and 1982 election cycles, the threshold to qualify an initiative — 346,119 voter signatures — represented about 3.4 percent of the state’s registered voters. For the 2016 and 2018 election cycles, the threshold to qualify an initiative — what we think will be 365,879 voter signatures — will represent just 2 percent of registered voters. And if you look at the state’s eligible electorate, a group that’s vastly larger than it was in 1978, it’s clear that there’s about to be a big boost of power for a relatively small number of Californians in forcing a statewide vote on a proposal of their choosing. Americans overall say they disapprove (51%) rather than approve of (41%) the executive actions President Barack Obama plans to take to deal with undocumented immigrants living in the U.S. 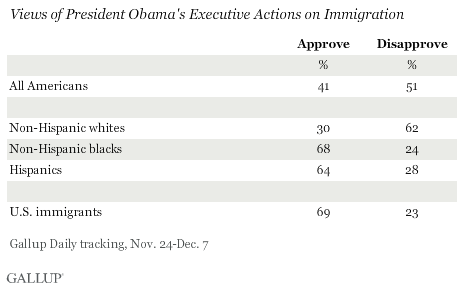 However, Hispanics, U.S. immigrants and blacks approve of the actions by wide margins, whereas whites oppose them. Advantages for Jeb Bush: a successful governorship. a largely conservative ideology, fluency in Spanish. First is the practical business of extricating himself. Second is the "Romney problem" -- the broad-brush image of a heartless rich guy who traded on family connections to make himself even richer. Third is the ammo dump of oppo that his business web generates. Phrases such as "backing from a Chinese conglomerate" invite oppo guys to dig up details that they can use to paint him as the second coming of Raymond Tusk from House of Cards. At The Washington Post, Brian Arbour uses the 1988 election as a point of departure for discussing partisan voting in congressional elections. Even though the Dukakis-Bentsen lost Texas, Bentsen won reelection to the Senate by a wide margin, running 16 points ahead of the ticket. In 2014, by contrast, no Democratic Senate candidate in a key race ran more than five points ahead of Obama’s 2012 total. Bentsen’s experience was not unusual. That year, 16 other Senators won election in a state their party’s presidential nominee did not carry (15 Democrats won in Bush states; two Republicans won in Dukakis states). The same was true in the U.S. House. Democrats won a majority for the 18th straight election, winning the popular vote 53 to 46 percent — the reverse of the presidential popular vote, when Bush defeated Michael Dukakis 53 to 46 percent. 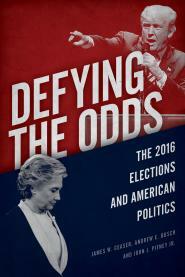 In 2014, Election Day was a bad day for Democrats in red or purple states precisely because they didn’t do what Bentsen and other Democrats did in 1988. Democrats today had very little of what political scientists call the “personal vote” — the portion of a candidate’s support that derives from his or her personal qualities and qualifications. Many fewer voters were willing to go against their presidential party preferences in 2014 than they were in 1988. As they have for several elections now, national factors such as partisanship and presidential approval largely drove the results of the 2014 election. According to the exit poll, 92 percent of Democrats and 94 percent of Republicans voted for their party’s House candidate. As voters have sorted themselves more clearly as Republicans and Democrats, they have become more likely to support candidates of the same party in different elections and have become less likely to be swayed by personal factors such as a candidate’s personality or political record. Republicans will control at least 246 out of 435 seats. That's tied for the most since the 1929-30 Congress (the GOP also had 246 seats in 1947-481948-49). And if McSally wins -- she currently leads -- it will be the single biggest GOP majority since the onset of the Depression. Republicans will control 54 out of 100 seats. That's tied for their fourth-highest number of seats since that same 1929-30 Congress, but the larger three were majorities of 55 seats -- i.e. only one more seat. Republicans will control 31 out of 50 seats. That's tied for their fourth-biggest number since -- you guessed it -- 1929 and 1930, according to the National Governors Association. But again, the three previous highs were 32 seats -- just one more seat. Republicans control more than 4,100 out of 7,383 seats -- about 56 percent. That's their highest since 1920, according to the National Conference of State Legislatures. They also control 69 out of the 99 state legislative chambers (including Nebraska, which is technically nonpartisan and has only one chamber, but which is for all intents and purposes under GOP control) -- the highest since at least 1900, which is the oldest data NCSL has. Republicans are enjoying a five-year peak in popularity after their wins in the midterm elections, according to a new Bloomberg Politics poll, while President Barack Obama struggles with his lowest job approval rating, at 39 percent. The White House also is facing a backlash from independents who oppose his unilateral moves on immigration, and just 24 percent say the country is on the right track, the lowest rating since September 2011. Obama's weakened standing comes as he and the rising congressional Republican leaders are poised to become partners—or adversaries—in guiding the nation. They will start in January on more equal footing, the poll shows. Forty-five percent of Americans say they now view the Republican Party favorably, while 47 percent hold an unfavorable view. That’s the best showing the party has had since the inception of the poll in September 2009. Opinion about the Democratic Party has plunged, with a favorable rating of 41 percent and an unfavorable rating of 50 percent. This was Democrats’ worst showing in more than five years.